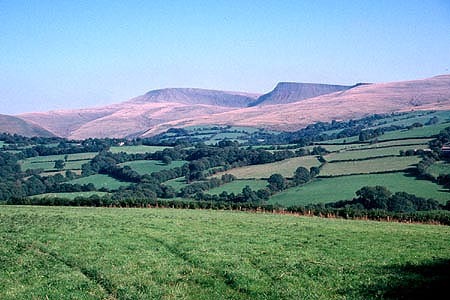 Since 1998, the Trust has been involved in work examining the historic character of areas defined by the Register of Landscapes of Historic Interest in Wales. This is part of an ongoing pan-Wales project sponsored by Cadw and the Countryside Council for Wales. Historic landscape characterisation involves the examination of historic processes that have shaped and moulded the present-day landscape. Components that make up the landscape such as field boundary types, field shapes, buildings, settlement patterns, parks and gardens, roads and railways, industry, and archaeological sites are all taken into consideration during characterisation. By analysing all components it is possible to divide the landscape into historic landscape character areas. Each area comprises components that are distinct from its neighbours. 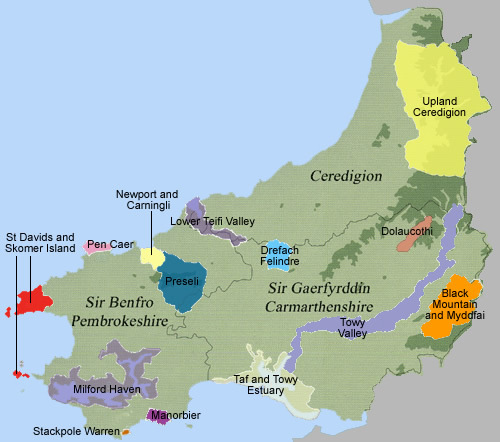 Areas of Historic Landscapes covered by the CCW/Cadw/ICOMOS UK Register of Landscapes of Historic Interest in Wales. The 'Guide to good practice on using the Register of Landscapes of Historical Interest in Wales, in the planning and development process' is currently being updated. We hope to have the new revised version available for download soon.